If you have recently had a new baby, you will know that new parents are usually paranoid about the safety of their precious new arrival. You check the baby every 5 minutes to see that he is still breathing, and every little squeak or noise the baby makes causes near panic. All this checking can quickly become very stressful. The solution to this situation is to consider purchasing a baby monitor. 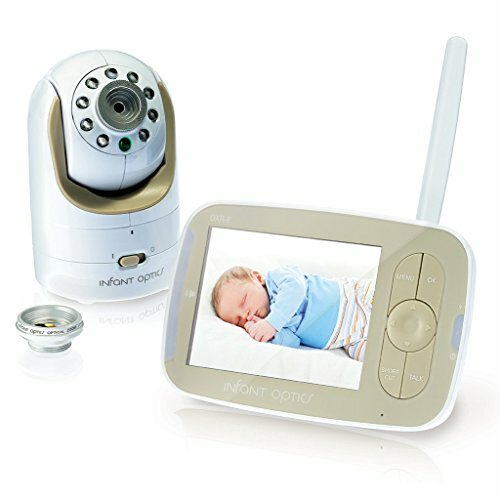 Baby monitors come in 2 basic types: video and audio. One with video capability would be better to choose because if you can see the baby, you know for sure that he is alright when you hear him cry or make any noise. 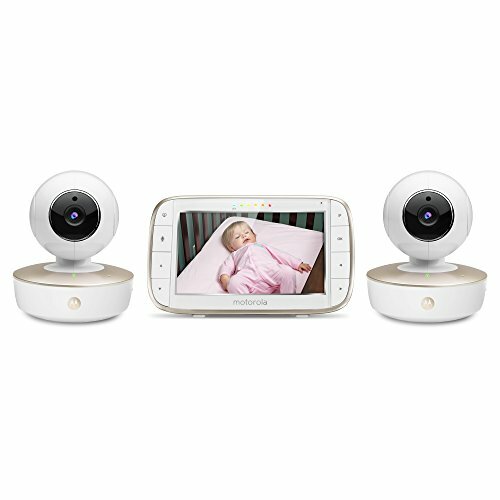 A popular video baby monitor that should be on all nursery checklists is the Infant Optics DXR 8 Video Baby Monitor . A popular review site voted this monitor the best out of the ten they tested. It performed the best in their video and audio tests, and was the easiest to set up and use. This is important if you are a busy new parent and don’t want to be fussing with a poor quality baby monitor. First monitor to have an interchangeable optical lens. You can customize the zoom and viewing angle. 3 types of lens – normal and zoom which are included, and a wide angle lens available for separate purchase. 3.5 inch color LCD screen, sound activated LED display, retractable antenna. Remote pan, view and digital zoom. Long life battery with 6 hours power with screen on, and 10 hours on saving mode. Infrared night vision light with enough light for video use, but not bright enough to disturb baby. Talk-back function is handy to talk to your baby to soothe him back to sleep. Room temperature sensor allows you to check and adjust the room temperature without entering the room. Long power cord – 8.5 feet on the camera and 10 feet on the monitor. These are just some of the many benefits you will obtain by using an Infant Optics DXR-8 Baby monitor. Very long range. Some users have reported using it outside the house near their pool. Lowest volume setting is not too loud. Lowest brightness setting is dark enough not to disturb sleep at night. Has a shortcut button to enable you to choose either volume or brightness as a shortcut. Can be mounted on a wall to save space. As nothing is absolutely perfect, users of this monitor have found a few things they are not quite happy with. Can’t record video or take snapshots. These are not essential features, but would be fun to be able to preserve some of the precious moments you see by chance. As it does not support Wifi, you can’t use the monitor with your Smartphone. No AV output, so you can’t hook it up to your TV screen to get a larger image. Poor charging capacity. Infant Optics customer support has said there is a known charging issue with their older models from 2015 and before. However, the current units have been fitted with an updated charging inlet port, which was the source of the problem. Basically, everyone with a baby or toddler needs one for many reasons. You need to be able to ensure your baby’s safety at all times and to reassure yourself and put your mind at ease. After all, you can’t be by his side 24 hours a day. 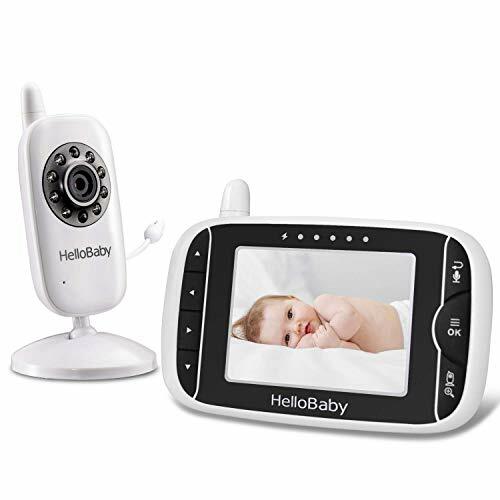 A monitor is especially needed if you are a very heavy sleeper and your baby’s room is out of earshot of your bedroom.Having a baby monitor will save your sanity! You won’t have to be continually popping in to check on your sleeping baby. 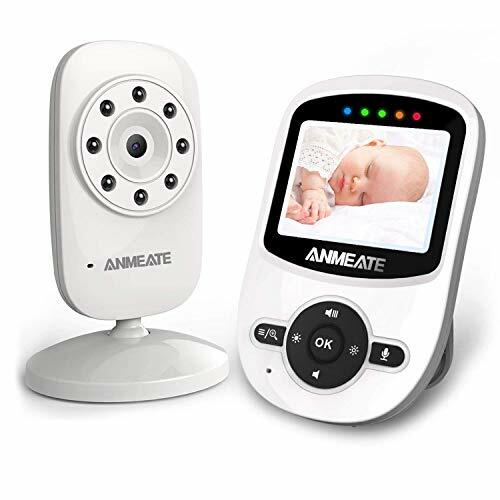 Just a quick peek at the monitor will reassure you that all is well.If you live in a double storey home, with your baby sleeping upstairs during the day when you are mostly on the lower level, a monitor will save you many trips upstairs. Think of all the time this would save, to give you a little time for yourself, which is a rare commodity for the parents of a baby.